Amoi Technology Company is a Chinese electronics manufacturer based in Xiamen, Fujian Province. 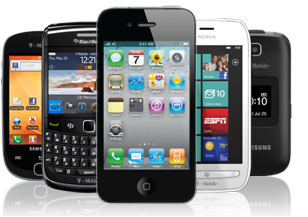 It is also a mobile phone operator, which combines manufacturing, research, development and sales of mobile devices. Amoi company was founded by a group Jiuzhou Electronics, fund CASREV and elite management team in the southern province of Sichuan. Today she owns the rights to the trademark «Amoi», patent, 95% stake in Xiamen Amoi Mobile Communications, software and original Amoi Electronics management system, as well as the production and testing of equipment associated with the mobile phone business. 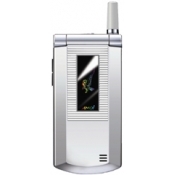 Founded in 1981, the company began to integrate the most advanced wireless technology in mobile phones branding. Since 2002 she began to follow the basic 3G standard (TD-SCDMA, EVDO and WCDMA), and continued to invest money in research and development. By the mid-2000s, she was already 45 145 patents and copyrights to the software, making it a leader in the field of study of the Chinese mobile phone industry. An important achievement was the inclusion in the list of "500 most influential brands in China." Technologically, the company focused on the development of mobile products and brand marketing, 3G, and offers consumers a stylish and high-quality mobile products. Amoi in the future are going to get exclusive access to consumer electronics, and become a leader in this field, along with the mobile industry. But yet it boasts a fortune of 3.25 billion. Yuan and six thousand personnel. As already mentioned, the company was founded in 1981. Originally it was called Xiamen Solid Electronics. It was a limited liability company. 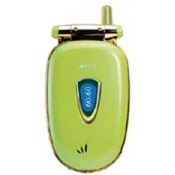 In 1997 it was registered more official name - Amoisonic Electronics. Part of the English title, «Amoi», was taken from «Amoy», the former name for «Xiamen». In the summer of the same year, the company appeared in the Shanghai Stock Exchange. Two years later, the company was awarded the ISO9001 certificate. Summer 2003 Amoi announced the launch of its own brand. By mid-August, they became №1 in the top 100 high-tech companies in China. In early autumn, mobile phone and DVD-player Amoi have been awarded prestigious prizes. Soon the company also ranked second in the list of Global Competitive Organization (among the more than 1,200 other Chinese public companies). In April 2004, Shanghai Institute of Amoi research and development was built. In the early summer of the same year the company launched a full range of 3C products in Beijing and officially announced its entry into the digital television industry. In September, Amoi began №9 in the list of Chinese public companies, and in October - the National Statistics Service have been awarded. Almost simultaneously, the company participated in the International Communications Exhibition in Beijing, where he first announced the promotion of its 3G-strategy. From January to March 2005 Amoi often participated in international exhibitions - for example, at CES and CTIA in the US, France and 3GSM CEBIT in Germany. Widespread recognition of the company's products have received such as mobile phones, LCD TVs and laptop computers. In June 2005, Amoi and Microsoft (China) held a joint press conference with the aim of expanding and strengthening bilateral cooperation.